2019 Summer Flower Shares are now available, Click Here to Sign Up! This is the 9th year for our weekly, Summer Flower bouquet program – 10 to 15 weeks of styled bouquets featuring locally grown flowers. It’s an awesome and unique treat for yourself or someone you love … hint, hint! And a great way to support local business and farming. 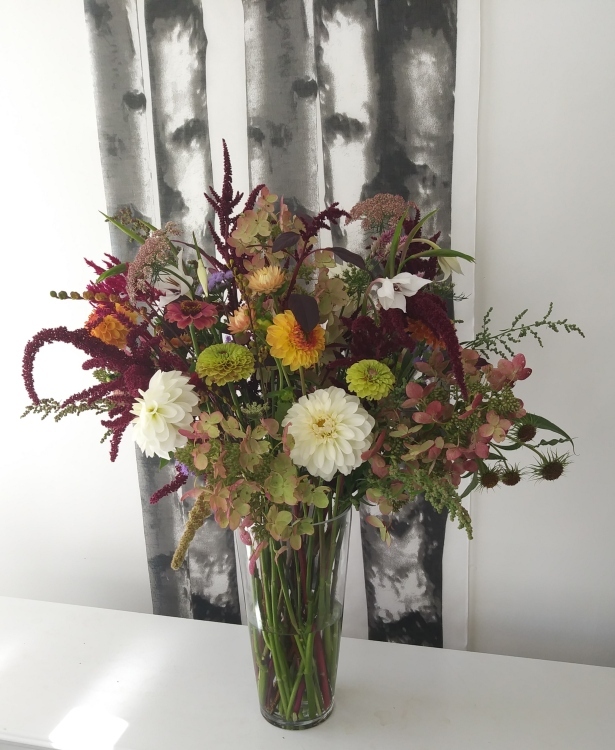 Each Friday, participants receive a hand-tied bouquet of the freshest and most beautiful flowers in bloom including many naturally-grown flowers from the immediate area. Plus, we’ve been donating 10% of our early Flower Share sales since 2015. This year’s recipient (of sales through 3/31) is Farm Arts Collective, a farm-based community hub where art and performance intersect with agrarian and ecological ideas. Past recipients include Catskill Art Society, Catskill Mountainkeeper, Livingston Manor Renaissance and NACL Theatre. Pick up right here in our shop or at Pepacton Natural Foods in Roscoe, or we will bring your bouquet to you each week (a surcharge may apply)! If you grow flowers or are interested in signing up for a 2019 Summer Flower Share, please Contact Us for more information.